Hédonie: beautiful, organic, excellent and essential! Hedonism, n. : ‟a doctrine that considers pleasure to be the essential, even ultimate aim of existence”. 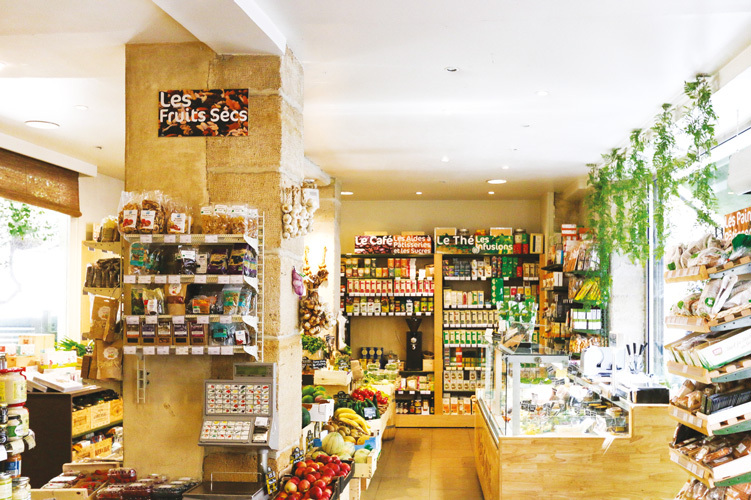 If this store with its eponymous name has been the leader of the ‟ healthy eating ” pack in Saint-Germain, and indeed all of Paris for the past twelve years, it’s because these founders have made their philosophy into a veritable art. Their secret? They know how to source products that are both excellent and organic. To ensure this, they’ve fresh deliveries every day and over 4000 brands, which means you can find everything there! From farmhouse dairy products to superior organic wines, to the gluten-free range and not forgetting the famous kale – curly cabbage so fashionable on the other side of the Atlantic. At Hédonie, lovers of the pre-prepared or the ‟ chic picnic ” can delight in the delicatessen and may well encounter a tomato aficionado poring over the many seasonal varieties to be found there. Nothing is left to chance here, because behind each pearl of a product is a meticulous investigation into the quality of the product, is it healthy, traceable, a real labor of love! The team takes a real pleasure in explaining each product with a real sense of service and giving customers the warmest of welcomes so it’s no surprise that customers quickly become connoisseurs! No need to choose between healthy or delicious here, your tastebuds are in for an organic treat! And if you see half of the who’s who of Cannes as you wander among these plant-covered walls, be discreet and take it with a pinch of salt! 6, rue de Mézières, 75006 Paris.